The Potsdam area of St. Lawrence County is home to many citizens of great accomplishment. The achievement list is extensive: a US Secretary of State- a Nobel Peace Prize winner- a judge on the World Court- an attorney known as the “Trust Buster” for defeating multiple gigantic corporations, including Rockefeller’s Standard Oil Company- and a man who was the force behind the historic Kellogg–Briand Peace Pact of 1928. The first 20 years of Keeseville’s Thomas William Symons’ work as an engineer were incredibly successful. A list of his achievements reads like a career review, but he was just getting started. After a second stint in the Northwest, he returned to the east in 1895, charged with planning and designing the river and harbor works at Buffalo. He was named engineer of the 10th Lighthouse District, which included Lakes Erie and Ontario, encompassing all the waterways and lighthouses from Detroit, Michigan, to Ogdensburg, New York. Among his remarkable projects was “a very exposed, elaborate lighthouse and fog signal” on Lake Erie, near Toledo. Grandest of all, however, was one of Thomas Symons’ signature accomplishments: planning and constructing the world’s longest breakwater (over four miles long). Built along the shores of Buffalo, it was a project that earned him considerable attention. Further improvements he brought to the city enhanced his reputation there. Another major project talked about for years came to the forefront in the late 1890s—the possibility of a ship canal spanning New York State. The 54th Congress in 1897 commissioned a report, but the results disappointed the powerful committee chairman when Symons’ detailed analysis named a barge canal, not a ship canal, as the best option. In 1898, New York’s new governor, Teddy Roosevelt, assigned Thomas to personally investigate and report on the state’s waterways, with emphasis on the feasibility of a barge canal to ensure it was the correct option. A concern on the federal level was national security, which was better served by Symons’ plan to run the canal across the state rather than through the St. Lawrence River to Montreal, up Lake Champlain, and down the Hudson to New York City. Thomas’ route across New York kept the structure entirely with America’s borders. (This and many other projects were requested by the War Department, which explains the security factor.) His additional work for Roosevelt reached the same conclusion, and after extended arguments in Congress, $100 million was appropriated for canal improvements. The decision was affirmation of Thomas’ judgment and the great respect in Congress for his engineering capabilities. During the canal discussions, his life had taken an unusual turn. Teddy Roosevelt had won the presidency in 1902, and in early 1903, the decision was made to replace his top military aide. Keeseville’s Thomas Symons was going to the White House. It was sad news for Buffalo, Thomas’ home for the past eight years. At a sendoff banquet, the praise for him was effusive. Among the acknowledgments was that his work in Buffalo’s harbor had brought millions of dollars of investments and widespread employment to the city. From a business and social perspective, one speaker professed the community’s “unbounded love, affection, and admiration.” The comments were followed by an extended ovation. However, Thomas was also the president’s number one military aide, making him the Master of Ceremonies for all White House functions. Every appearance by Teddy Roosevelt was planned, coordinated, and executed by Symons, his close personal friend. Depending on whom the guests were, Thomas selected the decor, music, food, and entertainment. He became the public face of all White House events. In reception lines, it was his duty to be at the president’s side. No matter what their stature, he greeted each guest as the line progressed, and in turn introduced each guest to Roosevelt. Everyone had to go through Roosevelt’s right-hand man before meeting the president (though he actually stood to the president’s left). He also played a vital diplomatic role by mingling with the guests, ensuring all were seated and handled according to their importance, and allowing the President and First Lady to feel as secure as if they had planned each event themselves. He was also the paymaster general of the White House, seeing to it that all funds appropriated for expenses were spent properly. The media regularly noted that in Teddy Roosevelt’s home, Symons was the most conspicuous person except for the president himself. 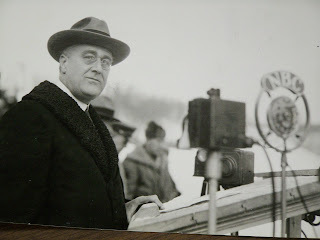 With so many responsibilities, the job of top aide to the president seemed impossibly busy, which is why Roosevelt expanded the staff from one to nine aides, all of them placed under the charge of Symons, who could then delegate much of his authority. The only sense of controversy to arise during Thomas’ career was related to the development of New York’s barge canal, and it had nothing to do with him personally. He was the designer of the proposed system, and many felt it was critical that he stay involved in the project. But the new duties in Washington kept him very busy. Because Congress approved additional engineering employees to work under Symons, some felt it was wrong to allow Thomas to spend some of his time working on the canal project, away from his regular job. Symons even agreed to forego the higher pay he received from the White House position in order to help with the canal. There was considerable resistance, but Roosevelt himself stepped forward, telling Congress that as governor, he had hired Thomas Symons to closely examine New York’s waterways. Thus, there was no man better suited for overseeing the $100 million expenditure. The legislators relented, and by authority of a special act of Congress, Symons was allowed to work on the creation of New York’s barge canal system. After Roosevelt’s first term, Thomas left the White House and focused his efforts on the canal work. In 1908, when the Chief Engineer of the Army Corps was retiring, Symons, by then a full colonel, was among the top candidates for the job. His strongest advocate was President Roosevelt, but after 37 years of service, Thomas submitted his name to the retirement list. He remained active in the work on New York’s canals, which he monitored closely, and despite suggestions of excessive costs, the project came in well below the original estimates. He also served on the Pennsylvania Canal Commission and continued working and advising on other engineering projects. 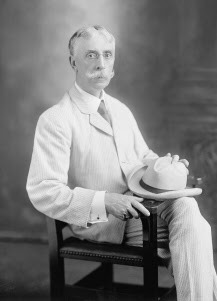 Thomas Symons, trusted aide, the man Teddy Roosevelt called the “Father of Barge Canals,” died in 1920 at the age of 71. In 1943, a Liberty ship built in Portland, Oregon was named the SS Thomas W. Symons in his honor. Photos: Colonel Thomas Williams Symons, civil engineer- a portion of the breakwater in Buffalo harbor. The Stephen B. Luce Library at SUNY Maritime College, Bronx, NY, will host a guest lecture entitled &#8220Island of Vice: Theodore Roosevelt’s Doomed Quest to Clean Up Sin-Loving New York.&#8221 Author and historian Richard Zacks will tells the story of Roosevelt’s two-year campaign as a reformist New York City Police Commissioner on Thursday, September 18th at 1:30 pm. Zacks grew up in New York City, wandering to Times Square when it was still evil. His mother sought to refine his manners with white-glove dance lessons at the Pierre Hotel but that effort failed miserably. As a teenager, he gambled on the horses, played blackjack in illegal Manhattan card parlors and bought his first drink at age fifteen at the Plaza Hotel. Zacks also attended elite schools such as Horace Mann (’73), University of Michigan (’79) and Columbia Journalism School (’81). 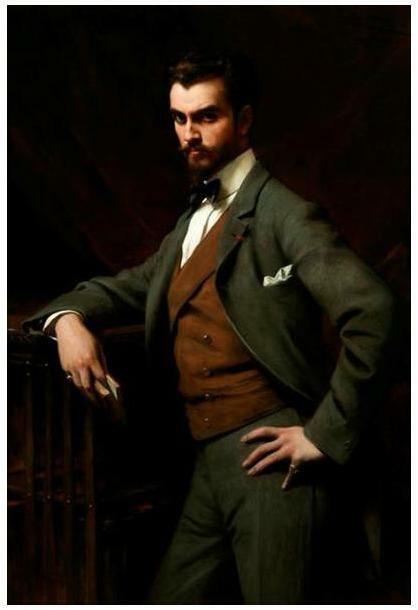 He majored in Classical Greek and studied Arabic, Italian and French. Zacks spent the decade of the 1980s as a journalist, writing a widely syndicated newspaper column, as well as freelance pieces for the likes of The Atlantic, Sports Illustrated. His book Pirate Hunter has sold more than 175,000 copies and TIME magazine chose it among the five best non-fiction books of the year. Around 1900 two celebrated figures with close ties to New York rivaled each other in the love of their countrymen: Mark Twain and Theodore Roosevelt. Theodore Roosevelt dominated the politics of the era the way the author of Huckleberry Finn dominated its culture. As national celebrities, Roosevelt and Mark Twain were well acquainted, and neither spoke ill of the other in public. Yet Philip McFarland, author of five works of non-fiction, reveals a behind-closed-doors rivalry in his new book, Mark Twain and the Colonel: Samuel L. Clemens, Theodore Roosevelt, and the Arrival of a New Century (2012, Rowman &amp- Littlefield). The concept of an &#8220honest Tammany man&#8221 sounds like an oxymoron, but it became a reality in the curious career of Ashbel P. Fitch, who served New York City as a four-term congressman and a one-term city comptroller during the late nineteenth century. Although little known today, Fitch was well respected in his own day and played a pivotal role on both national and local stages. Born in Northern New York, he was once challenged to a duel by an impulsive Theodore Roosevelt. 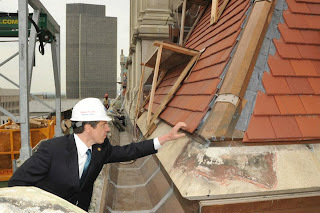 In the U.S. Congress, Fitch was a passionate advocate of New York City. 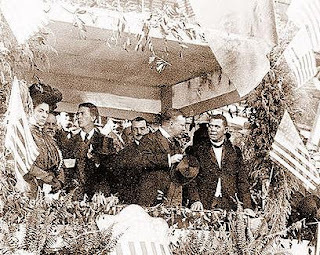 His support of tariff reform and his efforts to have New York City chosen as the site for an 1892 World Exposition reflected his deep interest in issues of industrialization and urbanization. An ardent defender of immigrant rights, Fitch opposed the xenophobia of the times and championed cosmopolitan diversity. As New York’s comptroller, he oversaw the city’s finances during a time of terrible economic distress, withstanding threats from Tammany Hall on one side and from Mayor William L. Strong’s misguided reform administration on the other. 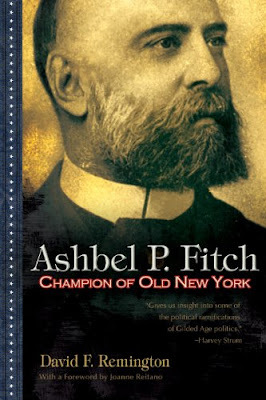 In Ashbel P. Fitch, Remington succeeds in illuminating the independence and integrity of this unsung hero against the backdrop of the Gilded Age’s corrupt politics and fierce party loyalty. David F. Remington is a retired investment banker and amateur historian. He is the great grandson of Ashbel P. Fitch. He lives with his wife on the coast of Maine. This post has been cross-posted to Adirondack Almanack, the blog of Adirondack culture, history, and politics. In the heart of the Adirondacks is the Town of Newcomb, population about 500. The town was developed as a lumbering and mining community &#8211 today tourism and forest and wood products are the dominate way locals make a living. As a result the Essex County town is one of the Adirondacks’ poorer communities ($32,639 median income in 2000). The folks in Newcomb (and also in North Creek in Warren County) often promote their communities’ connection to Theodore Roosevelt’s ascendancy to the presidency. Teddy’s nighttime trip from a camp in Newcomb to the rail station at North Creek as William McKinley lay dying from a bullet delivered by Leon Czolgosz&#8216-s .32 caliber Iver-Johnson handgun is usually considered Roosevelt’s great tie to the Adirondack region. There is a annual celebration of Roosevelt this weekend, but more of that later. Roosevelt created the first National Bird Preserve, (the beginning of the Wildlife Refuge system)&#8230- recognized the imminent extinction of the American Bison&#8230- urged Congress to establish the United States Forest Service (1905), to manage government forest lands, and he appointed Gifford Pinchot to head the service&#8230- In all, by 1909, the Roosevelt administration had created an unprecedented 42 million acres (170,000 km?) of national forests, 53 national wildlife refuges and 18 areas of &#8220special interest&#8221, including the Grand Canyon. A longstanding question from Roosevelt’s time still creates raging debates in Newcomb &#8211 should the state keep buying land in Newcomb (and elsewhere) to add to the Forest Preserve while it continues to ban logging? 1798 &#8211 New York State sells 4 million acres of the Macomb Patent for eight pence an acre. Political and corporate interests would control much of the Adirondacks for the next century. In 1855 for example, the state sold three entire townships to a railroad company for five cents an acre, even though the price had been set by law at 75 cents an acre. The following year later the State Legislature approved the logging of Tamarack and Spruce 12 inches and up and any size Poplar. The New York Evening Post reported that fifteen bills were rushed to the New York Legislature &#8220nearly all of which are directly to the advantage of the timber and land sharks.&#8221 The following year, the American Forestry Association, the New York State Forestry Association, the Adirondack Park Association, and the Genesee Forestry Association, held a &#8220Forest Congress&#8221 in Albany which opposed the lumbering plan. The move to log the Forest Preserve created a backlash from conservationists and that, along with a report form the State Comptroller outlining immense fraud, bribery, and illegal cutting, led to inclusion of a formal ban in the New York Constitution in 1894. &#8220The lands of the state, now owned or hereafter acquired, constituting the forest preserve as now fixed by law, shall be forever kept as wild forest lands. They shall not be leased, sold or exchanged, or be taken by any corporation, public or private, nor shall the timber thereon be sold, removed or destroyed.&#8221 The American Forestry Association also opposed this plan. In 1898, New York Governor Frank Black, pushed for a 40,000 acre experimental forestry station to be run by Cornell Forest School, which was established by the same law. 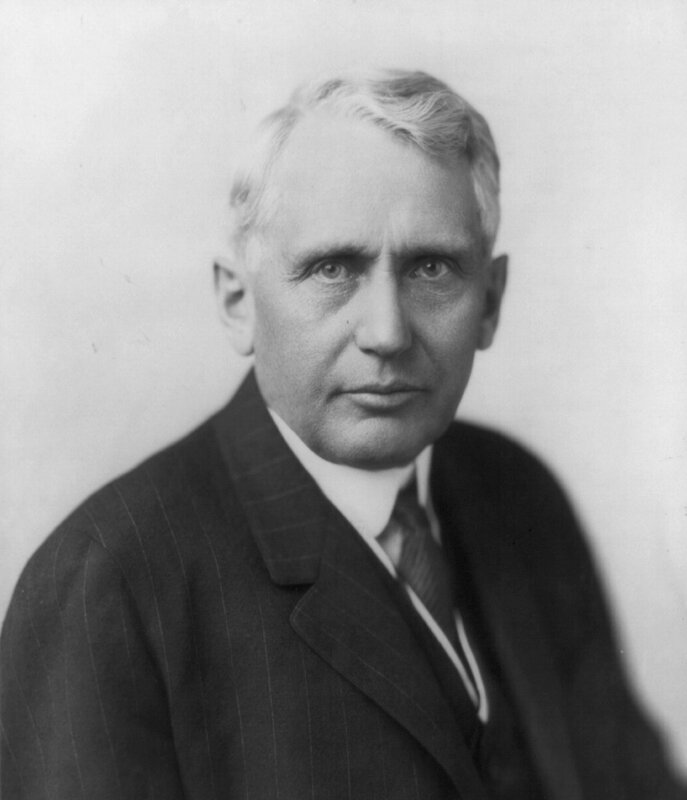 Cornell University started the forestry program but closed its doors in 1903, it was headed by Bernhard Eduard Fernow. Roosevelt brought in Gifford Pinchot and the United States Division of Forestry who devised a plan to lumber Township 40 in the Totten and Crossfield Purchase. 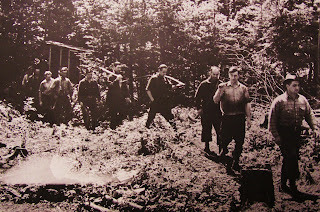 About 25 men were hired under forester Ralph Hosmer and local lumberer Eugene Bruce to survey the woods and lay out a plan to log the Forest Preserve. With the failure of the plan’s adoption came the virtual end to serious attempts to log the Adirondacks en masse. Quilt Show (Saturday and Sunday, Sept. 6-7, 9 a.m. &#8211 5 p.m. at the Newcomb Visitor Interpretive Center). All Weekend Long: Wagon Rides to Camp Santanoni, Free Pony Rides, Wool Spinning, a Classic Car Exhibit, Historic Guided Tours of Newcomb and Village of Adirondac, the Ty Yandon 5K Memorial Foot Race, and the TR Naturalist Challenge. For more information, contact the Newcomb Chamber of Commerce at (518) 582-3211. Part One &#8211 covered Sagamore Hill, the Long Island estate of Theodore and Edith Roosevelt. Part Two &#8211 looked at Eleanor Roosevelt’s home Val-Kill. Part Three &#8211 was a visit to the FDR Presidential Library and Museum in Hyde Park. Interesting reads, from an interesting blog.